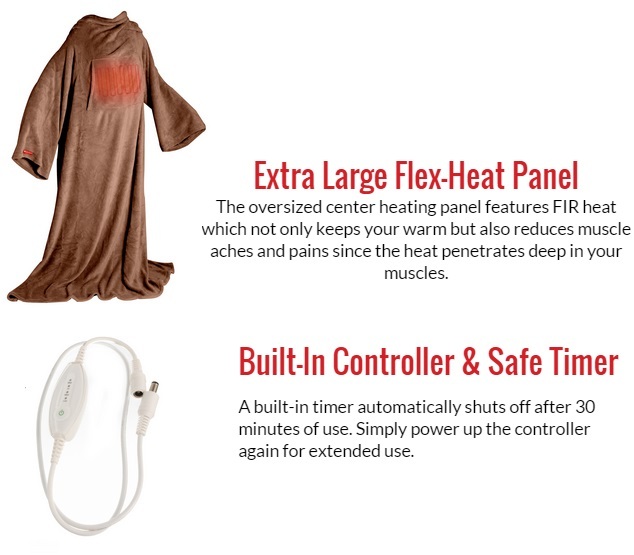 Get cozy by cuddling up with +Venture�s Heated Huggie Buddy. 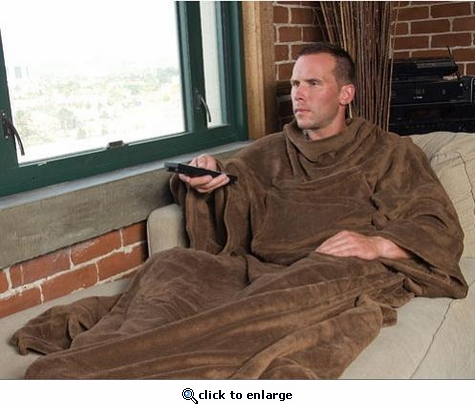 A wearable blanket with a new twist: heat. Perfect for snuggling on the coach to read, watch TV, or take a nap. Soothing warmth with touch of a button. Take relaxation to the next level. You may never want to leave the couch again. Soothing Warmth: Discreetly located in the chest and abdominal area, the heating elements effectively warm your entire body by improving blood circulation. The strategic placement of the front pocket is ideal for warming up cold fingers. Comfort Meets Functionality: Everything you love about your favorite blanket and more. The Huggie Buddy is designed for functionality with built-in sleeves that allow you to use your hands while you are all bundled up in fuzzy warmth. Live in Luxury: The plush fabric used to construct the Heated Huggie Buddy is made to give you the softest, most relaxed experience when it comes to blankets. Its fleece fabric is available in three colors: dark brown, pink, sky blue and tan to suit your individual preferences. Temperature Controller: With the touch of a button you can select 4 different heat settings to accommodate to your own personal preferences. This gives you the freedom to have heat on demand and to customize the appropriate level of heat to your individual desires.